1. Its art, literally and figuratively. Your choice of wall décor adds texture to a room the same way art does. Texture, of course, is an essential element of interior design that makes a space interesting and unique. It should intrigue your senses in more than visual. Without texture, a room can be flat. 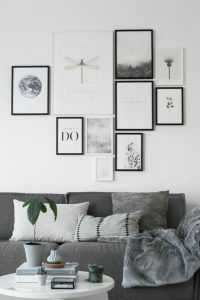 Sure, wall décor is visual. You see it. 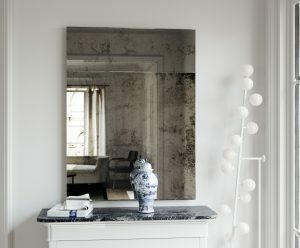 But it can also be tactile from the polish of a mirror’s surface to the roughness of a hanging rug. Face it, without it, a wall, even nicely painted, is just negative space. Fortunately, wall décor does the same thing art does: fills that emptiness and provides contrast to the mundane. When you choose them thoughtfully, wall décor can be creative and meaningful. Everything art is. 2. And everybody appreciates art (or at least we should). Art like paintings or music makes us feel certain things from sadness to happiness. If it’s an emotion you may be feeling strongly (such as after a loved one dies), the more you will appreciate that art. However, art can inspire more than emotions. It also makes us think about it and how the world relates to it. Wall décor triggers emotion and inspiration much the same way that we all appreciate. Framed childhood photos that remind us of carefree days or seashells in a shadow frame box that reminds us of the salty air near the ocean. We interpret/appreciate these things in one-of-a-kind ways flavored by our own experiences. Our wall décor can also distract us from our troubles like art. In the bedroom, before we go to sleep or in the nook having breakfast before we leave for work, it can relax or motivate us. 3. In much the same manner a museum tells the story of a person (or people) through artifacts, we too spin a story about ourselves by decorating our walls. Yes, you can cover your walls with your best memories in photograph form, but covering them with other things you love can tell a more intriguing yarn. It can be prints of your favorite Warhol Campbell soup painting because it’s what your grandmother made you on rainy days. It can be a Rococo mirror replica that reminds you that you’re saving up for a trip to France. It can even be a framed Avengers #299 which isn’t even very valuable but was the very first comic book you ever bought. Wall décor doesn’t need to be literal to reflect our life. It just needs to be connected to it whether as an artifact from your past or motivation for the future. 4. Finally, our wall décor pulls together everything from your paint to your furniture by satisfying one of the core values of interior design: creating a focal point.